Milk Prices Set To Rise – Kenyatta University TV (KUTV). All Rights Reserved. Dairy sector regulator has proposed an increase in levies charged on dairy processors, setting the stage for an increase in milk prices. The proposal, made through Miscellaneous Amendments Bill (2017), proposes the scrapping of levies that processors and producers pay to the Kenya Diary Board in favour of a one per cent charge on the factory price of a kilogramme of processed milk and other dairy products. Though each processor negotiates unique contracts with retailers, an informal poll by the Business Daily found that the average ex-factory price for a half a litre sachet of fresh milk currently stands at Sh45. This means that a litre of fresh milk, roughly one kilogramme, costs Sh90. Based on the proposed levies, a processor would pay 90 cents to the regulator for this amount of milk. The new levy will more than double the amount of money that the Kenya Dairy Board (KDB) has been collecting in levies and cesses. The processor levy currently stands at 20 cents on the ex-factory price of a kilogramme of dairy products while producers pay a similar amount on the farm gate price of raw milk — totaling 40 cents. Should the proposed changes come into force, consumers will bear the burden of higher fees, Kenya Dairy Processors Association chairman Nixon Sigey said. “Anything that proposes to increase the consumer prices is not in our interest as processors…. We would be very reluctant to make our products uncompetitive,” he said, adding that local processors would be registering their concerns with the dairy board. KDB says the changes are meant to consolidate its revenue collection and are necessary to keep the funds in tandem with inflationary pressure. “We want to have consistent revenue to fund regulatory functions of the board,” said KDB administrative manager, Peter Mutua. He added that price increments arising from the change in the method of computing the levy “cannot go beyond one shilling” and should therefore have little impact on the pockets of consumers. He said inflation had eroded the value of the board’s collection. Mr Mutua said that when the producer cess rose to 20 cents in 2000, it accounted for about 3.3 per cent the farm gate price of milk. But continued rise in inflation over the years had reduced producer cess to 0.6 per cent of the farm gate price. Similarly, the processor levy of 20 cents was 0.5 per cent of the ex-factory price per kilogramme of milk in 2010 when it was introduced, but now accounts for 0.2 per cent of the ex-factory price. Farmers stand to benefit the most from the proposed changes as they will no longer have to pay the producer cess. But the law also proposes raising the fines for milk producers who don’t register with the Dairy Board from Sh2,000 to Sh1 million. It seeks to expand the definition of a primary milk producer to include importers. 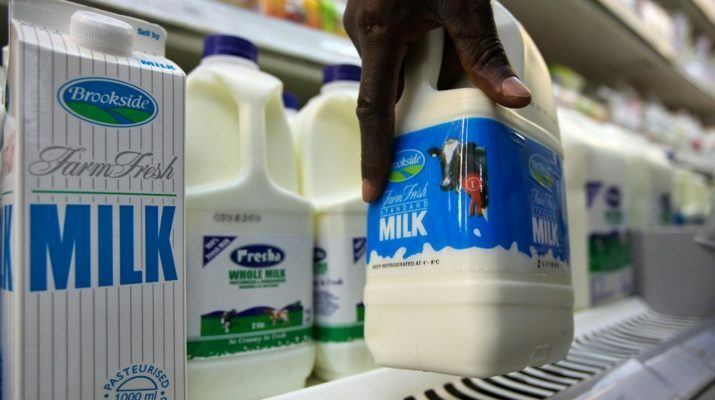 A severe drought cut milk output by almost half and saw prices peak at Sh65 for the half litre packet in May, forcing Treasury secretary Henry Rotich to temporarily scrap import duties on the product to increase supplies.